Happy February! I'm linking up with Farley from Oh' Boy 4th Grade for her latest Currently link party. Be sure to read to the bottom of my post because I've got some Brain Breaks for ya! Loving: My hubby got me a MacBook for Christmas, and we got a beautiful, old desk from his Aunt. So now I have my very own office at home! I've gotta be honest...I have no clue how to do most things on my Mac yet. I feel so OLD and behind the times!! 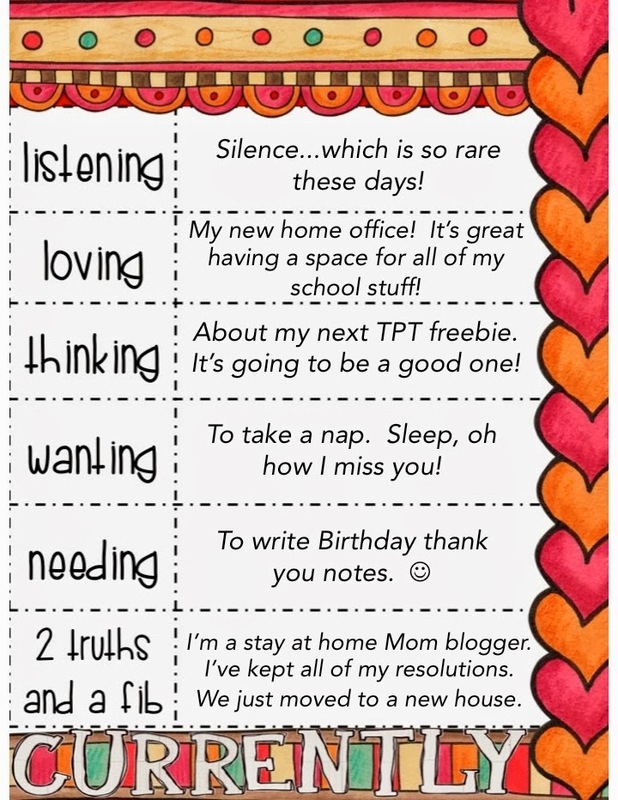 Thinking: I love creating TPT freebies, and I love teaching in the spring. Hope to post it later this week. Wanting: With a 9 month old, sleep is still hard to come by, but isn't he precious!?!? Needing: I celebrated my 29th birthday on Jan. 31st. Yay! We moved to our new house about two weeks ago, and I'm the happiest lady around! More space is exactly what we needed! 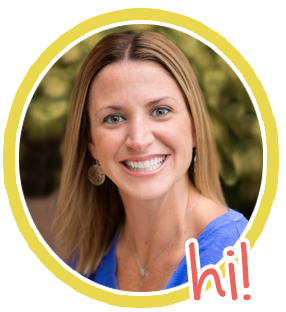 One of my very first posts on TheHappyTeacher has become one of my most popular posts...BRAIN BREAKS! 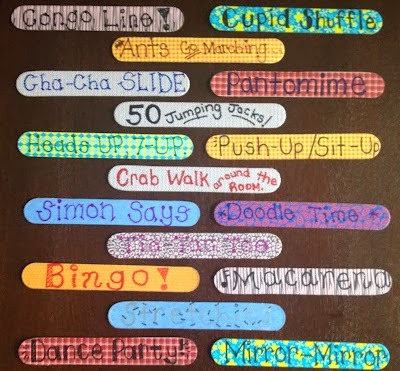 I've added some more ideas that you can instantly use in your classroom Brain Break repertoire. There are 23 ideas listed on the post in all. Have fun! Hi! I found your blog through Farley's linky. Your little guy is precious! Congrats on the house! We moved into ours right before our Little Man was born (by that I mean exactly a week!). We definitely needed the space too! Enjoy your time off with baby! Congratulations on your new home, a belated Happy birthday, and what a joy it is to be able to stay at home with your adorable baby boy for such a long time. Getting to teach in the spring is pretty cool too, so you can still do what else you love (of course being a mommy comes first)...Teach. I, on the other hand, am on the other end of the spectrum. I have two grown children and I've been teaching for the last 25 years and plan to retire very soon. I also plan to either tutor or teach perhaps either for a cyber school or a place like Sylvan or something after retiring. I enjoyed your Currently. Enjoy your new home, office, and Mac. They're all pretty awesome to me.